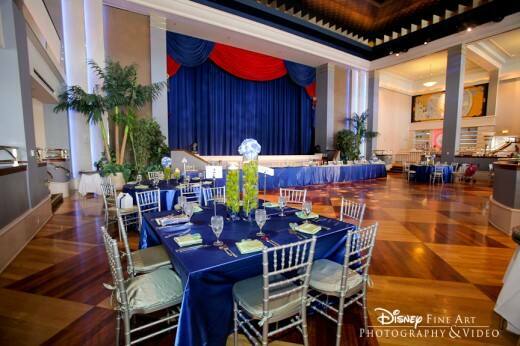 Disney's Atlantic Dance Hall is one of my favorite reception venues- and it's a great place to party! 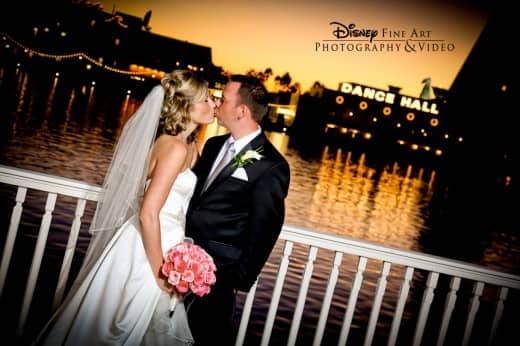 Built and decorated around Disney's BoardWalk, this waterfront venue offers spectacular, romantic views of Crescent Lake. Inside the Dance Hall, the whimsical architecture and bright colors will inspire you and your guests to dance the night away on the wooden dance floor. This multileveled venue even features a grand staircase that is sure to impress. 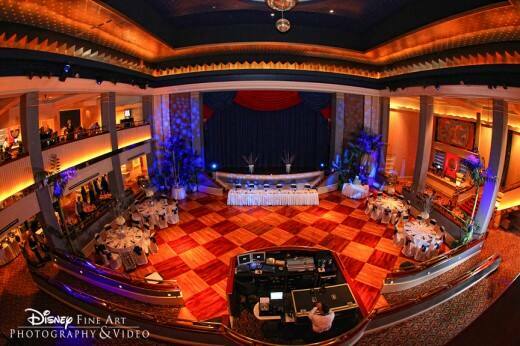 Sounds and lights come to life in the elegant surroundings of this stunning art deco ballroom. Stars twinkle from the celestial ceiling over the expansive dance floor as you try out the latest steps or make your own moves. Want to kick your heels up? 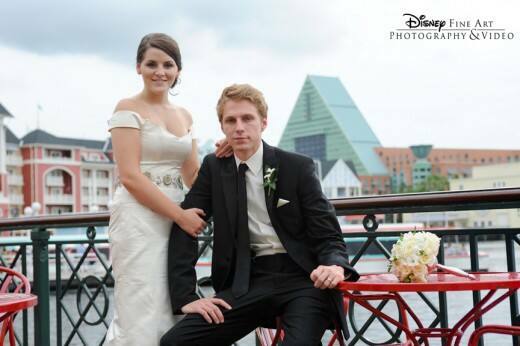 Perfect for a reception or farewell brunch with up to 200 of your closest friends and family, Atlantic Dance Hall is the ideal place to start your happily-ever-after.